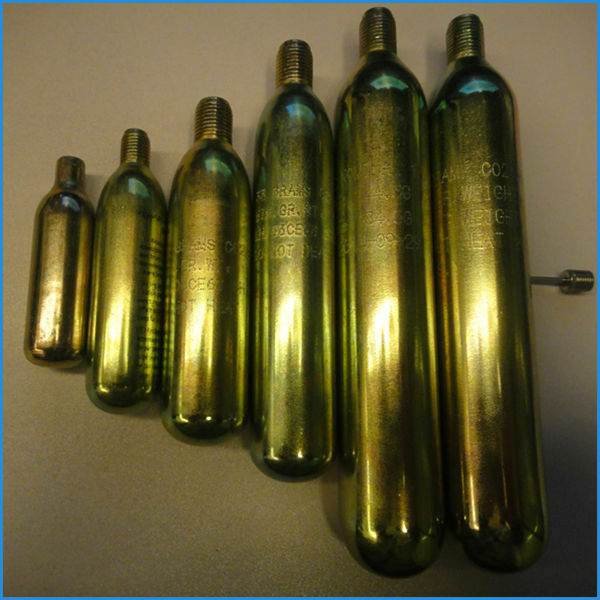 Small CO2 cylinder is a low pressure vessel that can store CO2 in a small cylinder. 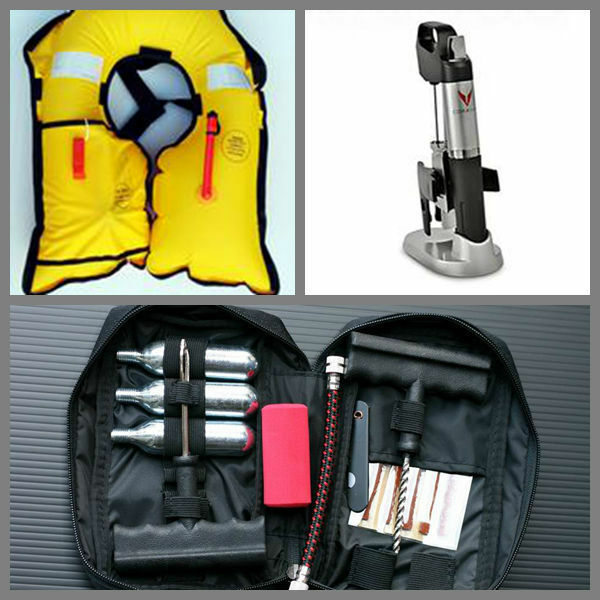 Application: Inflatable life jackets, lifebuoys, life jackets aviation, life boat, beer drinking machine, red wine dispenser, fire extinguishers, aquarium, emergency vehicle inflatable bag, air guns, paintball game, car airbags, escape respirators, home emergency respirators, oxygen machine for drinking water, health care, coffee machine and food additive. 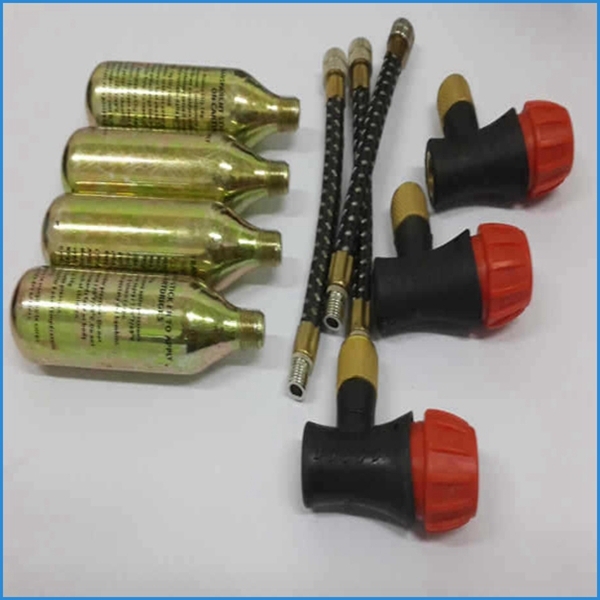 The following pics are the application of small CO2 cylinder. 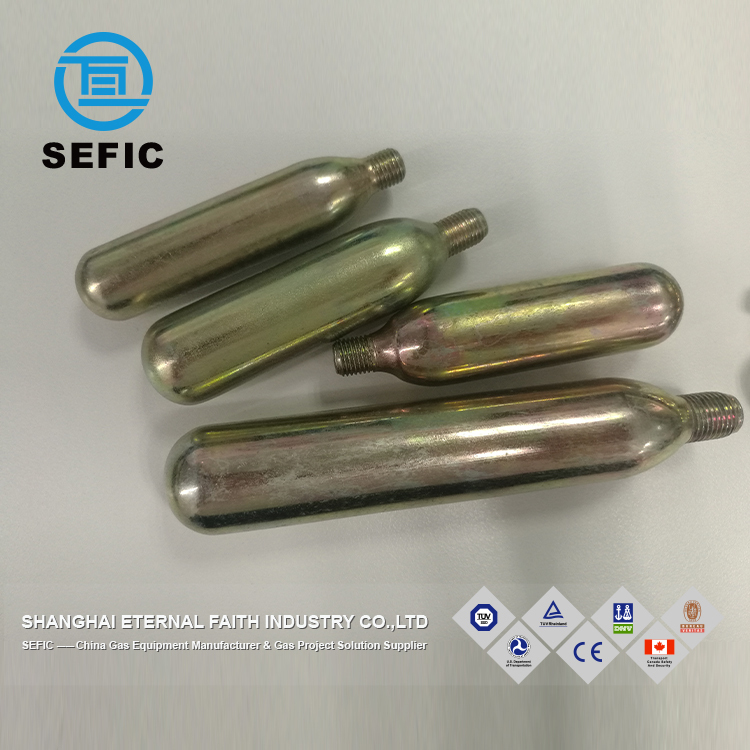 Located in Shanghai, SEFIC is one of professional suppliers of gas equipment such as gas cylinders, storage tanks and gas filling stations and affiliated equipment parts such as gas cylinder valves, tulip caps and steel pipes. We have many years' experience in gas industry and have received a good reputation in this field. 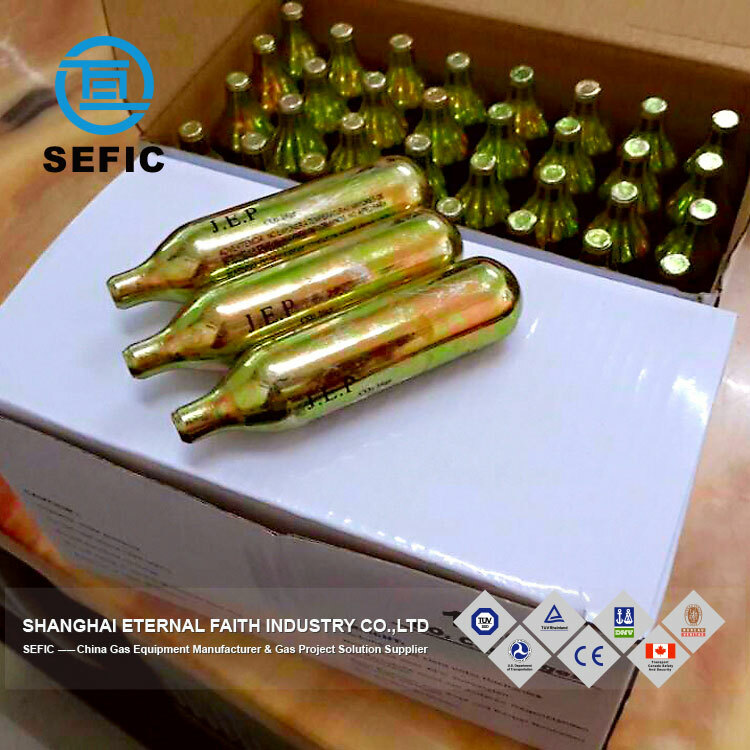 Our products have been exported to many countries such as U. S. A. and European countries and enjoy popularity all over the world. 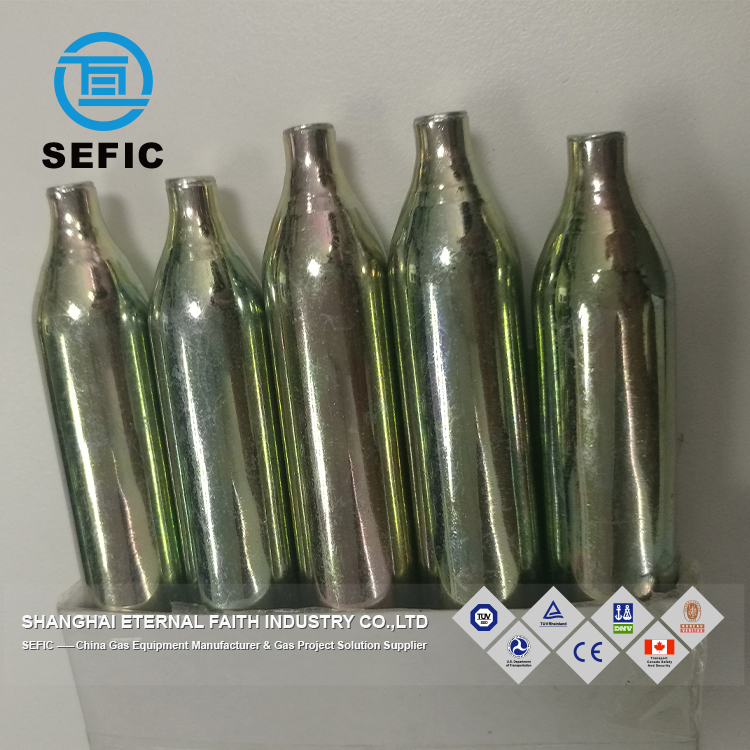 We have implemented strict complete quality and security control system, which ensures that each product can meet the quality and security requirement of our customers. 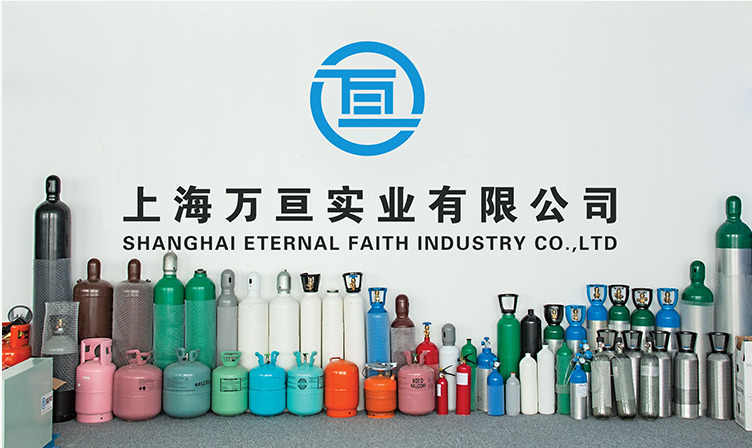 We have been adopting the advanced science and technology to produce gas cylinders and affiliated equipment since our company is established. 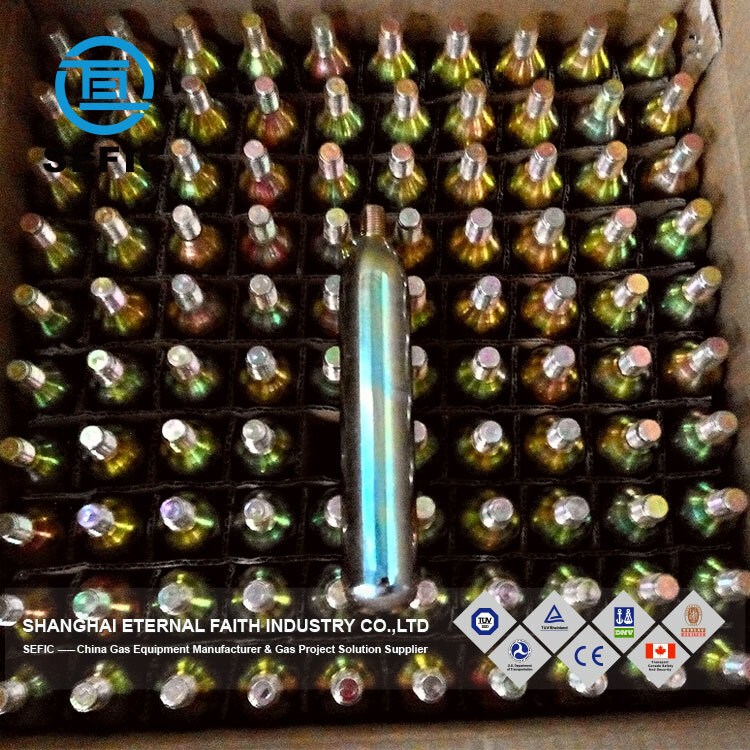 In addition, all of our products have been strictly inspected before shipment. We are dedicated to realizing the largest profit for both our clients and ourselves. We have been making great effort to achieve this win-win project and sincerely hope we will have long-term partnership in the soon future! All clients are welcome to our company for visit! 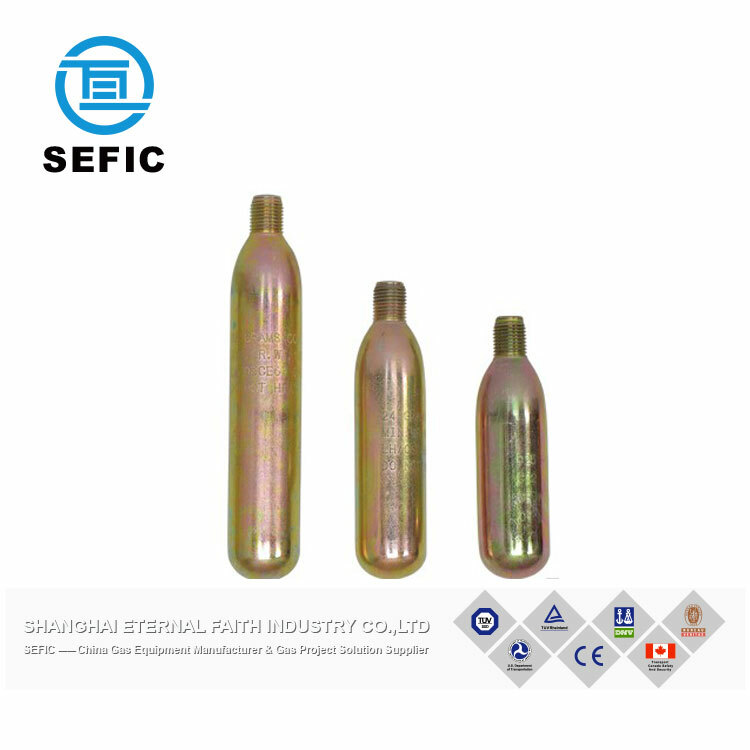 We are not only cylinder supplier, but also the first-rate service provider. We are prepared for your demand and question at any time. Please feel free to send us message if you have any interest or question about our products. Q1:What is the capacity of this gas cylinder? 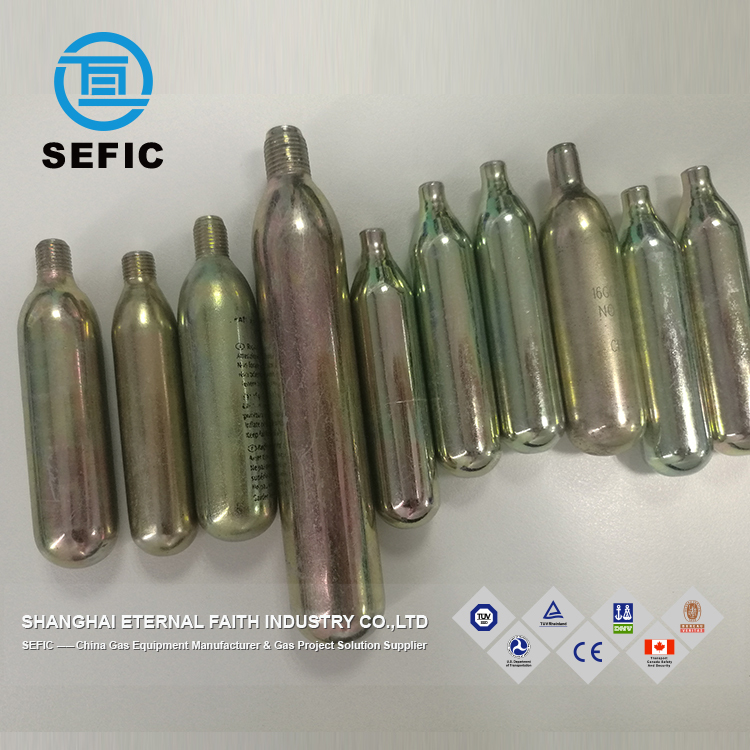 A1:The capacity of this gas cylinder is 21cc. Q2:What is the delivery time of this gas cylinder? 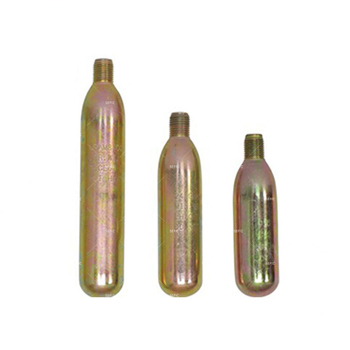 A2:The delivery time of this gas cylinder is 20 days after the deposit received. Q3:What kind of payment mode do you usually use? A3:We accept L/C and TT. If using TT, 30% as deposit and 70% before delivery. Q4:What kind of certification do you provide? A4:We can provide clients TPED, CE and TUV certification. 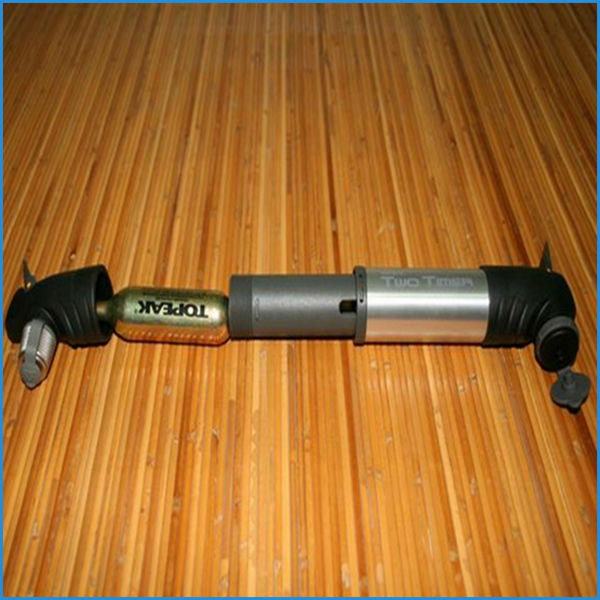 If you have a demand on this product, pls feel free to contact me. I hope you have a good day and best wishes for you.